A thought or two about Mentoring. I’m afraid that there are no client case studies this time – too soon I guess. Time: 18:00 for 18:30 start. End by 21:00. 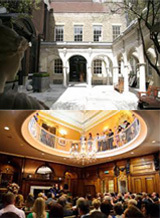 Venue: Cass Business School, 106 Bunhill Row, London EC1Y 8TZ. We’ll be in room LG002, which is on the Lower Ground floor with catering outside - As usual there will be drinks available to welcome you and a buffet and networking at the close. Please bring £25 cash to cover the costs incurred and email (steve.cant@wcomc.org), by 7th September, to confirm that you are coming and to ensure sufficient food and drink is provided. Reminder - We need your input and ideas on how WCOMC can continue to work with OCS and the Charity Commission on the design and management of a major programme of action to strengthen charity governance. This is a great opportunity to enhance the impact of our Pro-Bono work and Charitable Fund at a national level. It should be an interesting and stimulating evening, and you are sure to learn something of value in your dealings with charities. We need more people to sign up now that we are sure of the date & venue, and we look forward to seeing you there. Family Links is a national charity dedicated to empowering children, parents, families, schools and workplaces to be emotionally healthy. It delivers innovative, high quality training in the Nurturing Programme to health and social care services, third sector organisations, schools and universities. Family Links has been operating for 20 years and is based in Oxford. 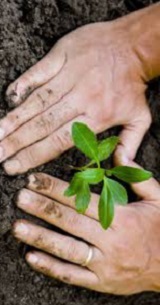 It has in the past benefited from support from Impetus/PEF – a charity that we have ourselves supported over the years. Three years of such support from 2013 to 2015 led to a sustained period of success and growth. However, 2017 has seen the charity encounter several funding challenges and as a result the organisation, with support of the Trustees, has developed and is actively pursuing a new strategic plan to reach more beneficiaries and diversify income sources. They would like additional external support in implementing this plan. 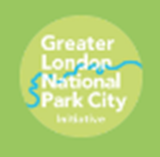 The National Park City Foundation is a new organisation, established as charity just two months ago. The foundation wants to make London greener, healthier, fairer and even more beautiful by transforming the capital into the world's first National Park City. Originally crowdfunded by 347 people and organisations in 2014, the Foundation’s community initiative has since grown into a movement. You can read the proposal to make London a National Park City here. Promote good citizenship and community cohesion through public enjoyment of, and participation in conserving and enhancing, the natural and cultural heritage of Greater London. The Foundation is looking for pro bono consultancy help in three areas of governance, strategic development and fundraising. Disappointingly, we had no volunteers to help this charity in response to our last Newsletter. So I'm trying again. What’s required? 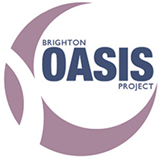 Oasis need help in putting together and delivering their strategic planning process. I envisage the specific consultancy skills required would include strategic planning, workshop planning and facilitation, broad communications planning. There are people out there just right for this role, so please do contact me if you think you can help and I’ll take it from there. Mentoring... or is it Coaching? For fairly obvious reasons of client confidentiality we will not be featuring Mentoring case studies here. Nevertheless I hope we can share some knowledge and insights. One thing I myself was never quite sure about, (before I attended one of our mentoring workshops), was the relationship (or difference) between coaching and mentoring. What I have since found immensely useful is to understand that both mentoring and coaching exist in a spectrum of “one to one” mechanisms that extends from “Direction” at one end to “Counselling” at the other, ranging in approach from highly directive to non-directive. As you would expect from management consultants, there’s a framework to describe this, and in the hope that it might be useful to others I reproduce it here (with due acknowledgement to colleagues, especially Liveryman Gia Campari). It’s sometimes helpful to reflect on where one is in a relationship with a client, at any point, and to see how a one to one relationship is evolving. What do you think? There will more about the Stephen Lawrence Charitable Trust in the next issue - I hope. Can you will with strategic options evaluation? Can you help with setting up Governance for this new Foundation? Can you run a strategic planning workshop?